Alex Romain is a leading national trial lawyer with nearly 20 years of experience in high-stakes, complex commercial litigation and white collar criminal defense. Among other high-profile matters, Alex successfully represented the Baltimore Ravens in connection with the independent investigation conducted by former FBI Director Robert Mueller into the National Football League’s handling of the Ray Rice domestic violence incident. As lead counsel, Alex represented a leading global professional services company in an $830 million malpractice lawsuit brought by the city of Houston in connection with the city’s $6.2 billion pension crisis. Alex also successfully represented the former chairman and CEO of Fannie Mae against securities fraud claims in which the plaintiff sought more than $2 billion in damages, and the court awarded his client summary judgment on all counts. Alex has litigated privilege and conflicts issues on behalf of private equity and accounting firms. He has also defended individuals and corporations against allegations of campaign finance violations, obstruction of justice, bank fraud, environmental pollution, theft, fraudulent misappropriation, and attempted murder. Alex was selected to Lawdragon’s 500 Leading Lawyers in America, and was featured in Law360’s “Minority Powerbrokers” series. 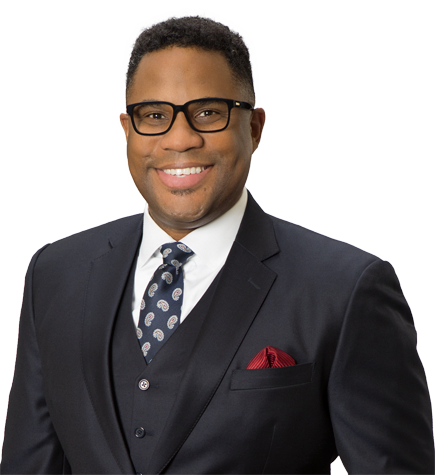 He was selected to Savoy Magazine’s list of “Most Influential Black Lawyers.” He has also recently been featured in The Recorder and in Attorney at Law Magazine as Attorney of the Month. Before moving to California, Alex spent 10 years as a litigation partner at Williams & Connolly in Washington, D.C. During law school, he worked at the Department of Justice in the Office of the Attorney General for Civil Rights, where he received the U.S. Attorney General’s Special Commendation Award for Outstanding Service. As lead counsel, achieved an extraordinary settlement for a leading global professional services company in an $830 million actuarial malpractice lawsuit brought by the city of Houston in connection with the city’s $6.2 billion pension crisis. Successfully represented the Baltimore Ravens and several of its senior personnel in connection with the independent investigation conducted by former FBI Director Robert Mueller into the National Football League’s handling of the Ray Rice controversy and Mr. Rice’s grievance against the Ravens. Won summary judgment on all counts in a $2 billion securities class action case, representing the former chairman and CEO of Fannie Mae against securities fraud claims. Successfully defended the late Sen. Ted Stevens on criminal charges that he made false statements on federal disclosure forms. Alex played a leading role in pursuing the exculpatory evidence that ultimately led to the senator’s exoneration. As lead counsel, defended a global professional services company in connection with the Department of Justice Antitrust Division’s investigation of the proposed mergers of Anthem with Cigna and Aetna with Humana and represented company in United States v. Anthem, et al. & United States v. Aetna, et al. As co-lead counsel, defended the owner of a health care company in a two-week federal criminal trial in Little Rock, Arkansas, on six counts of bribery, conspiracy, and honest services fraud. As lead attorney investigator, defended a major utilities company against claims arising out of the Thomas Fire in Ventura and Santa Barbara counties and the Montecito mudslides. The fires were regarded as the largest in California history at that time. Successfully defended an international, New York-based law firm against a $1.6 billion corporate meltdown claim brought by a bankruptcy trustee. As lead trial counsel in a pro bono matter, defended the accused in a weeklong trial on charges of attempted murder. Won summary judgment on all counts in a $500 million legal malpractice suit against an international law firm. Defended a Washington, D.C. businessman in connection with a U.S. attorney investigation into the financing of a 2010 “shadow campaign” on behalf of the city’s former mayor, Vincent Gray, and charges of obstruction of justice and campaign finance violations. Obtained a favorable settlement for a regional airline in a nationally prominent wrongful termination and defamation case brought by a former pilot. Secured a settlement on the eve of a three-week trial. Successfully defended the former chief financial officer of a major oil services company in connection with an SEC enforcement investigation involving allegations of accounting fraud, after which the SEC declined to bring any charges against the former chief financial officer. Successfully defended a for-profit college in arbitration in connection with state and federal investigations of allegedly false representations and fraudulent recruiting practices. Defended a leading cruise line company in a grand jury investigation regarding alleged environmental pollution. As lead counsel, defended an individual on charges of theft and fraudulent misappropriation. Counsel, Sitar Arts Center, Washington, D.C.